Songs We Love: Thelma, 'If You Let It' Natasha Jacobs' band mixes the warm, human sensibilities of folk with off-kilter electronic elements. This song is a testament from someone who knows how to escape the feeling of being held back. Thelma's new self-titled album comes out Feb. 24, 2017. Thelma's music sounds almost otherworldly. Slightly spooky and often dramatic, it mixes the warm, human sensibilities of folk with slightly off-kilter electronic elements. The intensity in the music makes sense, given its origins: When Natasha Jacobs, the band's founder, began to focus on songwriting, she did so with a commitment to overcome her lifelong fear of performing. A few years later, while studying composition at SUNY Purchase, Jacobs began experimenting with electronic instrumentation. Then, shortly after Thelma's debut, what started as a solo project grew into a full band (now including Daniel Siles, Maciej Lewandowski and Juan Pablo Siles). 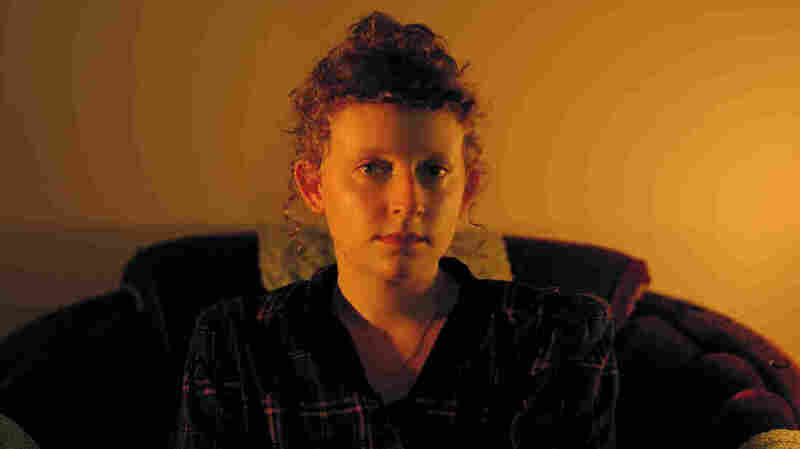 The seven songs on Thelma's forthcoming self-titled album showcase Jacobs' ability to combine her penchants for electronic experimentation and folk song structures, and the full band helps bring her lush, dramatic ideas to life. Thelma's opening song, "If You Let It," is led by Jacobs' dreamy voice and rich imagery. Underneath, instruments crackle, creep and sweep; they're subtle but effective, often mirroring the rhythm of Jacobs' voice. The song represents an experiment with Jacobs' songwriting style: She tells NPR it was the first time she wrote a song's melody and lyrics before any instrumentation. "I did it as kind of an experiment to really focus on melody," she says, "and I think it kind of changed how I've written a lot of songs since." As a result, "If You Let It" feels propelled forward by an expanding narrative, as Jacobs' voice twists around the song's haunting melody. "If You Let It," Jacobs explains, is about feeling stifled by someone who is trying to set limits on your goals and their own, and dreaming of ways to escape that situation. "You deserve more," she sings over and over. Jacobs says the song "is not explicitly about two people and can be interpreted in broader ideas." In light of Jacobs' old fear of performing, it seems like a testament from someone who knows how to escape the feeling of being held back. Thelma comes out Feb. 24, 2017 on Tiny Engines.